Beautiful Kings Point Cayman Brac is located at the south east end of island, close to Great Cave and blow holes. Situated on the ocean front side, there are views of the ocean and the bluff from all windows. A tropical island getaway, Cayman Brac is located in the warm Caribbean Sea. The islands are situated south of Cuba, northwest of Jamaica and approximately 450 miles south of Miami, FL. The Brac, as the island is commonly referred to, is the most easterly of the Cayman Islands. With a total land mass of 14 square miles, the island is small enough to maintain a peaceful, tranquil atmosphere but big enough to have a plethora of hidden caves, winding trails and a unique cultural history. In CELEBRATION of our new website, we are having a contest to reach 1000 “likes” for our Facebook page. Along the way, there will be lots of opportunities to WIN FREE STAYS at KINGS POINT CAYMAN BRAC! There are a few ways to get entered. Please “like”’ the page and then send us a message stating where you heard about the contest. That is one entry for you and one for the person who told you about the contest. Then “share” the contest announcement. That is good for another entry. You may share the announcement as many times as you like, once a month, once a week, once a day and so on . . . . . (so that more people see it, “like” the page and you get the entry for sending them to the page.) You will receive up to one entry per day if you “share” at least once per day. However there will be random bonus entries for people who “share” more frequently. If you are currently someone who “likes” our Facebook page, when you share the announcement for the first time, you will receive two entries. Not on Facebook? Not a problem. If you refer someone to “like” our Facebook page, they will send me a message that you sent them and you will have an entry. Please email me (kingspointcaymanbrac@gmail.com) to give me your contact information and the name of who you referred. There is no limit on how many times you may enter (referring people or “sharing” the announcement) and no limit on family members entering. Also there is no limit on how many times you could WIN! The PRIZES: For every “100 milestone” there will be two draws, both for two nights stay at Kings Point Cayman Brac, double occupancy. There will be one name drawn from the “likes” and another name drawn from the “share” and "referred by" group. 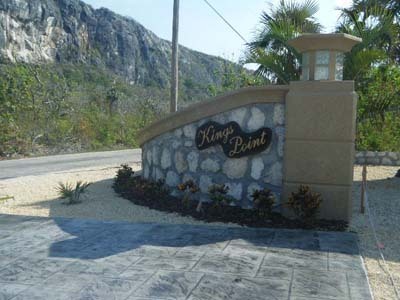 Once we have 1000 “likes” there will be the similar draw, PLUS with all names in the draw, there will be one draw for a four nights stay at Kings Point Cayman Brac, double occupancy. PLUS, local merchants are already adding to the milestone prize and the grand prize to make it even more spectacular. Watch here as the list of prizes grows. We have some awesome prizes waiting for you. SPECIAL BONUS OFFER All reservations made for Kings Point Cayman Brac (minimum one week stay) during the running of this contest will have the 13% tax included in the regular rental price.